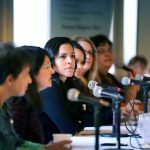 This annual symposium showcases “Million Dollar Women” – women who have started companies that have gross revenues of over a million dollars. Our panelists share their stories, successes and lessons learned to an eager and entrepreneurial audience. It’s a joyful and inspiring event. 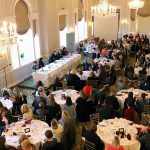 The Symposium provides an opportunity for women entrepreneurs to see and hear the human side of successful women business owners. Through this Symposium we hope to empower women at all stages of business to see themselves in other successful women entrepreneurs. Joanne Domeniconi is the Co-Founder & Chief Discovery Officer at The Grommet. Founded in 2008, The Grommet is the place to discover and shop for innovative and exciting products. Each weekday The Grommet launches new products and tells the story of every one and the people behind them. At The Grommet, Joanne guides the Discovery of emerging consumer products in sixteen different industries including Gift, Consumer Tech, Housewares, Hardware, Toy, Pet, Beauty, Fitness, Outdoor and Apparel. Joanne spent her early career at Stride Rite Corporation where she held various Retail Merchandising, Buying and Product Development roles during a 20 year career in footwear. She served as Vice President of Product Development for Keds, the sneaker company, before co-founding The Grommet. In 2014, Joanne was invited to The White House to be recognized for The Grommet’s positive impact on the Maker Movement and the launch of The Grommet Wholesale. In 2015, she co-authored The Grommet’s ebook, Makers Who Made It, the story of 100 successful Maker businesses. Joanne is a graduate of Simmons College and lives in Massachusetts. 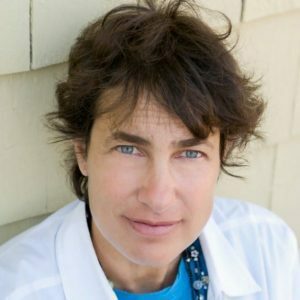 Denise Aronson, CEO & Founder, Safety Partners, Inc.
Denise Aronson is a pioneer in the life science health and safety industry. Denise founded Safety Partners Inc. in 1992. Since then, Denise and her team have implemented safety programs for more than 400 top life science companies. 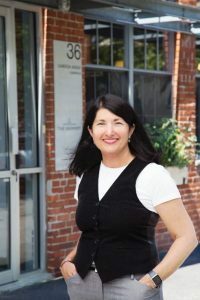 Prior to founding Safety Partners, Denise served as an environmental, health, and safety manager at T Cell Sciences, and managed a clinical prenatal diagnostics laboratory. She began her career as a research associate at Beth Israel Deaconess Hospital in Boston, after receiving a BS in Biochemistry from the University of New Hampshire. Denise is a certified chemical hygiene officer through the National Registry of Certified Chemists. 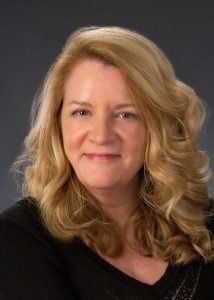 She is active in more than 20 professional societies and trade organizations, and was a founding member of the New Hampshire Bio/Medical Council, Preferred Provider Leads Group; the Tom Vance, Life Sciences Connector Group; and the Cambridge Chamber of Commerce, Life Sciences Leads Group. She is a regular on the industry speaking circuit, a member of the MassBio SEF Working Group, and an American Chemical Society (ACS) Expert. Denise also serves on the Advisory Board for the UMass Lowell Department of Work Environment as well as the Boards of The Bioscience Network and The Waldorf High School of Massachusetts Bay. Safety Partners is a Certified Woman-Owned Business, and has been named one of the 25 Best Small Companies by Working Mother magazine. Daniella Mammola is Co-Founder, Co-Owner and Operator of Pellana Steakhouse, Daniella’s Cafe & Market and Alto Forno. Born of Italian Immigrant parents with a large tightknit family, her upbringing taught her the basics of hospitality, taking care of people and most importantly, feeding them well. While studying for her degree in Psychology at Bridgewater State University, Daniella began working in restaurants as a way to pay her Tuition. Over four years, she began working through the ranks as a host, server & bartender and eventually landed a position as Assistant to the Event Manager for a large restaurant group. It was during this time that it became apparent that a career in the restaurant Industry was inevitable. At the age of 21, she was promoted to Manager and handled all of the private dining for their premier steakhouse concept in Boston. After spending four years with them, it was time to spread her wings and Daniella accepted a position with a young growing restaurant group in the city. She assisted in the opening of three new restaurants while there and in 2006 was reconnected with Dan Mammola (her now husband) who was opening a Steakhouse in the suburbs. Daniella helped open Pellana Steakhouse located in Peabody in 2006 and has led the Operation for over 12 years. In 2014, she and her husband along with their business partner opened Daniella’s Café & Market in Danvers. Not only is this restaurant her namesake but it also reflects her Italian American heritage serving classic “red sauce” Italian dishes and family recipes. In 2017, they opened their third restaurant, Alto Forno serving Modern Italian cuisine in an upscale setting. Daniella has dedicated her career to raising funds and awareness to many local non-profit organizations on the Northshore. Building relationships and giving back to the community in which she serves is an integral part of her life and business. She sits on the Steering Committee for the Northshore Cancer Center Gourmet Gala helping to raise money for Cancer Care on the Northshore. Daniella runs a company of over 100 people and believes that the key to her success is in cultivating her staff. She believes in giving people opportunities and promoting from within. It is through their successes that she truly feels accomplished. Born and raised on the Northshore, Daniella is not only professionally invested in this beautiful part of Massachusetts but personally invested as well. Daniella lives in Beverly with her husband and partner Daniel and their two young daughters, Karena Maria (3 ½) & Siena Vince (20 months). 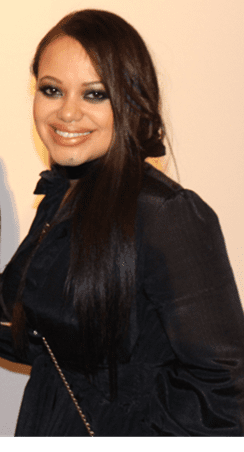 Katherina Mena, Owner, Glitterati Style, INC.
Katherina Mena is the Founder, President and CEO of Glitterati Style, INC. Her parents emigrated from the Dominican Republic. After her father, a very successful accountant suffered a heart attack her mother supported the family by selling clothing and became the first Hispanic woman to open a retail clothing shop in Salem. Working with her mother as a child, Katherina developed an interest and skill in the fashion industry. After college, Katherina worked for a marketing agency in Beverly, MA and became Executive Vice President. In 2008, she opened her own media buying agency, Ambition Media, INC. and later sold the company. Throughout her career, Katherina had a passion for fashion, grew her fashion clientele, and was a personal shopper. In 2009, Katherina opened Glitterati Style, INC in Salem, MA at the exact location where her mother had her shop. In December 2012, she opened a second store on Maple Street in Danvers, MA. Her third location was opened in 2016 at the Liberty Tree Mall, Danvers, MA. Glitterati Style services prom and pageant clientele. They also have gowns for other major events such as red-carpet events, galas, guests of weddings, quinceaneraa, graduations, etc. Between the three locations Glitterati Style as amassed over 20,000 Dresses. Katerina has received multiple awards and commendations and was featured on MTV on the national TV series MADE. On November 25, 2017, she became mother to a beautiful baby boy named Christopher. A native of Providence, RI, Victoria attended Harvard University where she graduated with a degree in Physics. After earning her MBA from the Wharton School of Business, Victoria worked as a product manager for the Kingsford Products Company where she managed the national roll-out of KC Masterpiece BBQ sauce. She later joined Welch’s where she managed the company’s bottled juice business and authored the Welch’s Health and Nutrition Marketing Initiative. 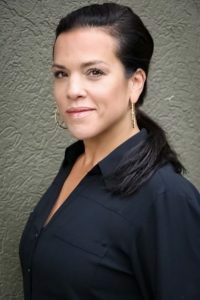 Yearning to pursue a career that combined her lifelong passion for cooking with her business experience, Victoria left corporate life to start Victoria Gourmet, Inc. in 1998. Since its inception, the company has enjoyed steady growth. Victoria Taylor’s Seasonings can be found at over 3000 retail locations in North America. The company’s blends are purchased in bulk by several major restaurant chains, industrial companies, and celebrity chefs in the United States. Victoria and her products have been featured in many publications including The Boston Globe, The Boston Herald, Better Homes and Gardens, Food & Wine, Fancy Food & Culinary Products, Barbecue & Beverage Magazine, Specialty Food Magazine, Boston Women’s Business Journal, Coastal Living Magazine, The Washington Post, Country Living, Ladies Home Journal, and Oprah Magazine. In 2015, Victoria was profiled in Wharton Magazine. The article, “6 Ingredients for Business Staying Power”, outlines her keys to entrepreneurial success. Victoria Gourmet has received many Awards and Industry Recognition for Innovation. From the Specialty Food Association, the company was awarded a SOFI (Specialty Outstanding Food Innovation Award) for Outstanding Food Gift for Victoria Taylor’s Culinary Salts of the World in 2003 and a SOFI for Package Design Innovation for the Window Spice Tins Design in 2011. In 2016, Victoria Gourmet was honored for Technical Achievement in Printing and Design for Victoria’s Retail Recipe Packets developed for the grocery channel. Victoria Gourmet has a growing internet presence with the company website, www.vgourmet.com and its recent launch on Amazon, supported by a robust social media marketing commitment. Victoria Gourmet has 20 employees including an all-woman management team who work out of the company’s home office and fulfillment center in Woburn, MA.